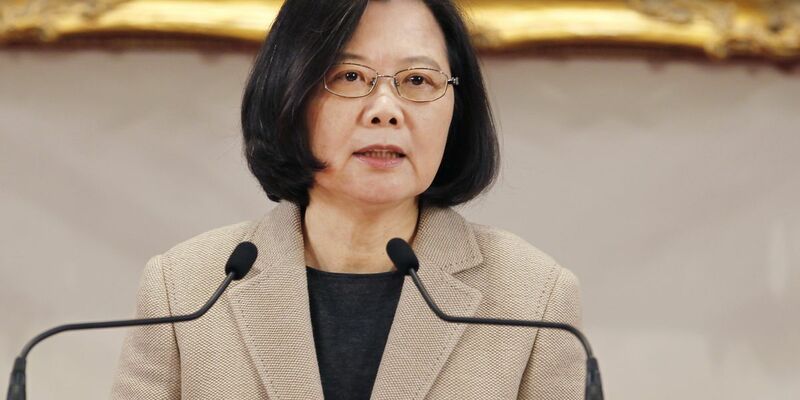 BEIJING (AP) - Taiwan President Tsai Ing-wen is visiting her island's diplomatic allies in the Pacific on a tour that will end with a stopover in Hawaii. Taiwan’s official Central News Agency says Tsai will travel Thursday to March 28 to visit Palau, Nauru and the Marshall Islands. She will transit through Hawaii on her way back. Taiwan’s list of allies has dwindled as countries choose instead to establish relations with Beijing, which considers the self-governing island part of Chinese territory. Only 17 mainly small, developing countries still recognize Taiwan as a sovereign nation. The island split from mainland China amid a civil war in 1949. Beijing has recently ratcheted up its rhetoric around "re-unifying" Taiwan, which has a democratic government, with the Communist Party-ruled mainland.